However, to monitor and stay abreast of all tech applications deployed in your organization would require a disproportionate amount of time and resources than most companies can spare. At Amnet, we simplify this process by providing dedicated account support and deploying technology with the core purpose of managing the organizational tasks, not because the technology is the latest. 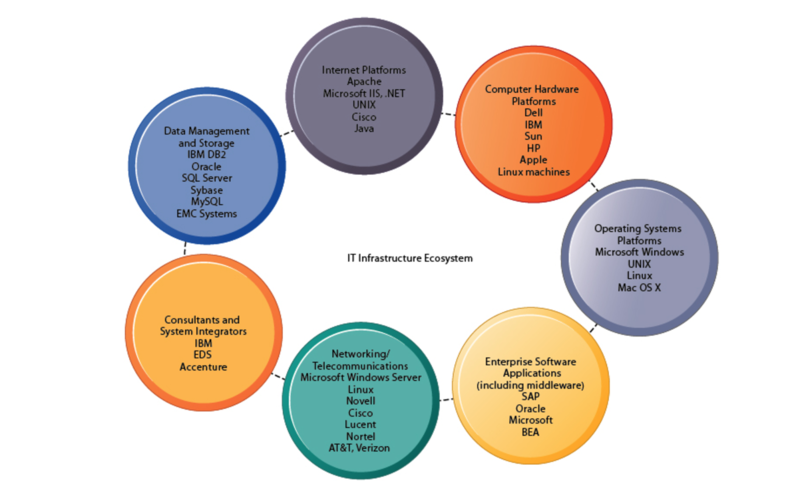 There are seven major components that must be coordinated to provide the firm with a coherent IT infrastructure, as shown in the diagram above. Develop, integrate, stress test, and fine tune complex information technology solutions. This now includes testing services for Storage Solution Performance Testing and Storage Solution Proof of Concept. 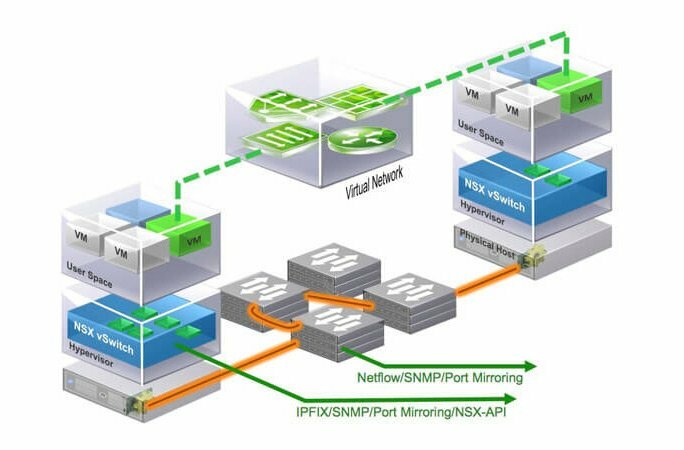 Analyze your systems, networks, and applications to pinpoint performance enhancements needed to improve user satisfaction. 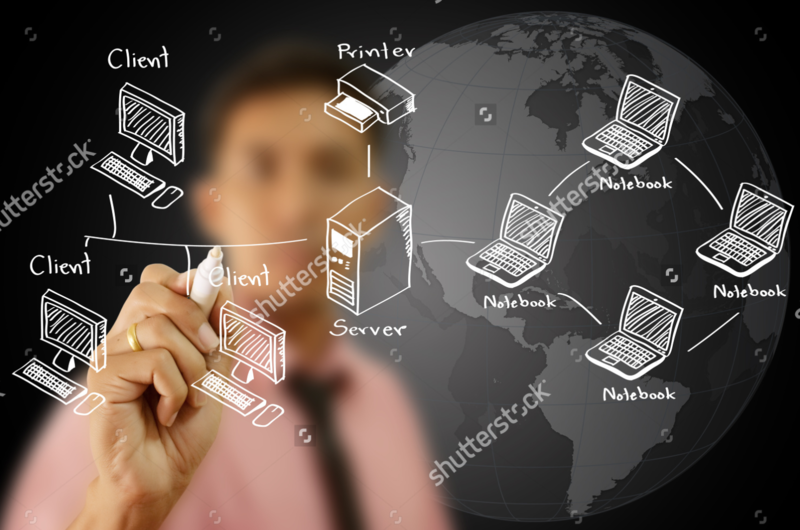 In addition, by modeling your unique IT environment, these services help plan for future capacity to confidently pursue new business strategies and invest in new technologies. Rapidly deploy new networks or enhance existing networks to support your key business initiatives. With this service, you can focus on achieving your business objectives without having to worry about the supporting networking infrastructure. The digital future won’t wait – enter the modern enterprise with high availability, efficiency and scalability. Amnet provides a full range of server- and storage-related services, from complete managed server administration to the installation of routine updates and patches. Our cost-effective solutions for Hitachi Unified Compute Platform and Content Platform support that transition on your terms – no matter where you are in your journey. We will review, select and procure a new server and related equipment for your organization based on our knowledge and experience, and combined with professional affiliation with world-class vendors such as Hitachi Data Systems. Whether you are thinking of starting, or have already embarked on the virtualization journey, Amnet guide you through Infrastructure Planning and Design Guides to validate design decisions. This is an important step towards ensuring that solutions meet the requirements of your business and IT stakeholders before you implement the virtualization blueprint. As virtualized server workloads redefine typical data center operations, enterprises need a more modern approach to infrastructure management. Amnet offers server virtualization solutions that align IT infrastructure with your virtualization stack, resulting in more efficient provisioning, fewer silos between line of business units and IT, and the ability to easily scale as you grow. Whether your organization needs PCIe flash arrays or hyper-converged infrastructure, Amnet can recommend and implement a solution that is ideal for organizations of all sizes to efficiently consolidate and operate all virtualized workloads in a scalable, homogenous appliance model. VMware solutions help organisations to accelerate IT by reducing complexity and enabling a more flexible and agile service delivery that addresses the unique business challenges. As a VMware Enterprise Solution Provider, Amnet can assist you in designing and implementation of Server/Desktop Virtualization or Consolidation or even Disaster Recovery Solutions. Microsoft Hyper-V solutions has enabled a new generation of datacentres with more efficiency and availability for your most demanding workloads. As a Microsoft Licensing Solution Provider(LSP) and Managed Partner, Amnet is focused on delivering the Microsoft Solutions to our customers. Whether you want to virtualize workloads, build a private cloud, scale your services through a public cloud, or combine all three, Microsoft’s virtualization and management solutions, built on Windows Server and System Center, we can help you better manage resources and offer IT as a service. Call Amnet for virtualization solutions that can stretch your resources – and give you better performance, higher availability, and peace of mind across your IT infrastructure. Data is a critical element in any business/in our daily life. We use data everyday not only for a wide range of business functions but for our personal too. Data loss is one of the most crippling events. Crashes and outages are bound to happen – there’s no way of avoiding them, but you can be prepared. Technology has evolved rapidly, instead of buying an expensive server, you can also set your company server on cloud system. A cloud system is a place where information is backed up and protected in a safe online storage environment. Many admitted that saving time and cost with online data backup solution was the biggest argument. There are some backup solutions you will only pay for what you use. A very common mistake businesses make, having your data being backed up in an external hard drives. This type of backup isn’t very safe as you won’t have time to back up your hard drive everyday, and it is hard to say if the hard drive has successfully backed up everything. A dedicated backup solution is still a safer choice. If you’re going to invest in a backup solution, it’s worth it take the time and ask the right questions to ensure that the provider you choose is going to likewise be invested in your success. Contact us at Amnet to assist you on the questions that you must ask and thoroughly consider before deciding on your organisation’s backup solution. We offer a FREE consultation to help you understand more about how a backup solution works. Our IT experts can give you a visit, free of charge. Load balancing is one of the most important aspects of the present IT industry as this is what enables the organizations to run their business processes smoothly. While making a website live or launching a new application, every business owner dreams of driving a lot of traffic to it. But when it actually happens, the website or the application often crashes down. And this is probably the worst thing that can ever happen to a business. This is why it’s important to balance the load well in advance so that the concerned website or the application doesn’t crash down due to a sudden rush of traffic.